IMO is a popular messaging and video/audio calling app used by millions worldwide. The app allows free calls to anyone using the app regardless of their devices. The app can be downloaded for free from the Google Play Store. The fact is, there are some good reasons why you may have to run apps on a computer. In order to properly run IMO in a computer, ensure that you have at least a working microphone in place. A webcam will be necessary if you wish to video chat. 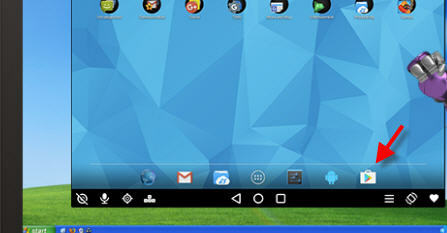 Before you can run IMO in your computer, you will need to download an Android Emulator. One of the best free Android Emulator out there is the Andy Android Emulator. Be be advised that the software is close 500mb in size and the download and installation takes quite a bit of time. Please be patient while you install the app as the process can take almost 30 minutes to an hour. Do not close the setup screen if you see that the setup has stalled. The setup process eventually resumes and completes to 100%. Once you have the Andy Emulator installed, run Andy and click on the Play Store icon on the Andy welcome screen. Search for IMO and install the app. Activate the app using your existing mobile account or create a new one. That’s it, now you can run IMO in your computer!